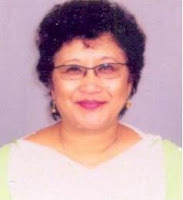 Shillong, Apr 12 : Congress nominee Wansuk Syiem, 55, a former member of the National Commission for Women and a veteran Congress leader, on Thursday became the first woman Rajya Sabha member from Meghalaya. State assembly secretary H Mylliemngap, who is also the returning officer, declared her victorious in the bypoll to the Rajya Sabha Meghalaya seat on Wednesday. The by-election to the Rajya Sabha's lone Meghalaya seat was necessitated due to the resignation of sitting member Thomas Sangma. He resigned on February 4 this year to contest the assembly polls from North Tura on an NPP ticket. He, however, finished third. Sangma's term was to end on April 12, 2014. Syiem expressed her gratitude to the Congress high command and president Sonia Gandhi, MPCC president DD Lapang and chief minister Mukul Sangma. Syiem said, "I feel great! We will try our best to serve the state and its people." Born in 1956, Syiem joined Congress in 1977. She was an active member of the National Students' Union of India as well as the Seva Dal prior to joining the mainstream political party. An elected member of the AICC, Syiem has been chairperson of the Meghalaya State Social Welfare Board, besides being general secretary of the Meghalaya Pradesh Congress Committee and vice president of the All India Mahila Congress.